It’s the last month of 2016, and we can’t believe it! 2016 has been a huge year for Hutcheson Horticultural, too. We completed many yard design projects, installed plants in many of your yards, and shared our knowledge of lawn maintenance and design with you through our blogs! We figured now is the best time to take you through our favorite blogs of the past year! Even though the end of this year was particularly dry, proper lawn drainage is essential to a healthy lawn here in Georgia. It saves you from things like root rot, water damage to your home, and nutrients in your soil being washed away. All three of these things are important to keeping your lawn the best looking in the neighborhood! We spend so much time talking about making your lawn look perfect, we can forget what the whole point of a great lawn is: to use it! We’re about to enter the coldest part of the year, but we can still reminisce about the great days of summer here in Woodstock! Grilling out and hosting friends is just one of the many ways you can enjoy your yard! One of our favorite things our team likes to do is to create new ways for your lawn to stand out! Using the perfect lawn path for your yard is one of the best ways to achieve this. 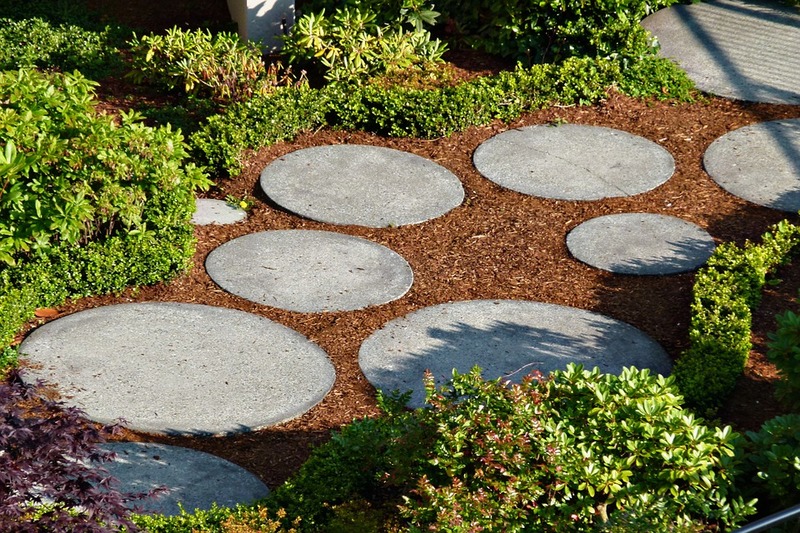 Mulch paths, gravel, stone, you name it — they all have their pros and cons, and many of them depend on what exactly you want. It’s up to you to decide, or we could offer a few suggestions if you want!